(679, Lottie Durham Collection, OHS). (717, Lottie Durham Collection, OHS). James Jackson McAlester, also known "J. J." McAlester, contributed to the development of the Choctaw Nation in Indian Territory and later emerged as a prominent and influential leader in the state of Oklahoma. 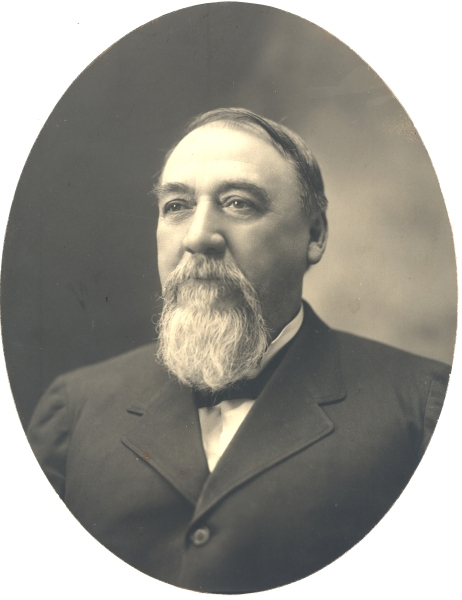 He has been hailed as "the Father of Eastern Oklahoma," and contemporaries acclaimed him as the founder of the Oklahoma coal industry and the southeastern Oklahoma town of McAlester. McAlester served as one of Oklahoma's most respected businessmen and politicians. Born in Sebastian County, Arkansas, on October 1, 1842, McAlester spent his formative years in Fort Smith, Arkansas. Volunteering for service in the Confederate Army at the outbreak of the Civil War, he rose to the rank of captain prior to discharge. At the conclusion of the war McAlester boarded with Oliver Weldon while pursuing studies in Fort Smith. Weldon, a former engineer who had surveyed Indian Territory, gave McAlester his memorandum book that detailed vast coal fields at the Cross Roads area in Indian Territory. With this valuable information, McAlester left school and moved to Indian Territory. At age twenty-four he entered the Choctaw Nation. He found employment with the Indian trading firm of Harlan and Rooks. Later he worked for Reynolds and Hannaford, a firm of post traders. Eventually McAlester bought out his partners and established a store near the outcroppings of coal. In 1872 McAlester courted and married Rebecca Burney, a Chickasaw girl and sister of Ben Burney, a future governor of the Chickasaw Nation. 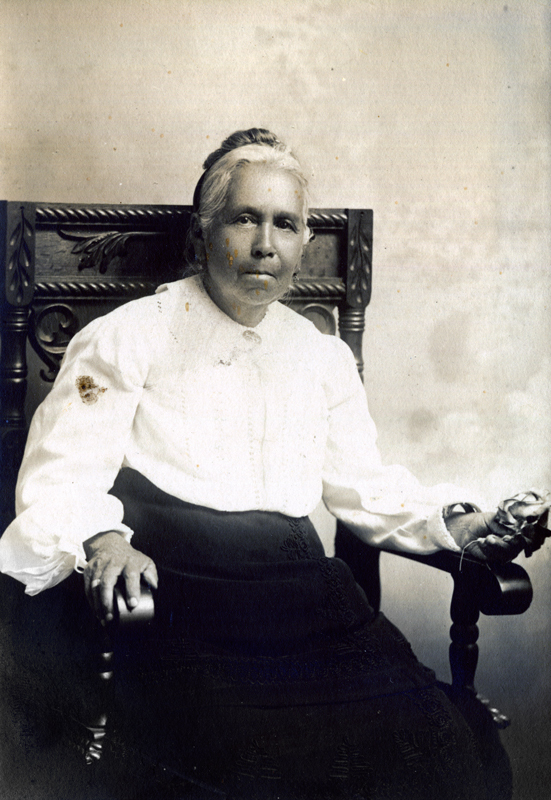 This union brought McAlester full citizenship and rights in both Choctaw and Chickasaw nations. His citizenship entitled him to stake a claim to coal deposits within a one-mile radius from point of discovery. Over time, McAlester's interests in coal burgeoned, and with the arrival of the Missouri, Kansas and Texas Railway through the crossroads area, the J. J. McAlester Mercantile Company flourished as coal production soared. During McAlester's colorful lifetime he worked in politics, mining, banking, business, law enforcement, and ranching. In 1893 Pres. Grover Cleveland appointed him the U.S. marshal for Indian Territory. He served one term ending in 1897. From 1907 to 1911 he acted as a member of the Oklahoma Corporation Commission. In 1911 the people of Oklahoma elected him lieutenant governor under Gov. Lee Cruce. On September 21, 1920, J. J. McAlester died in the town that bears his name. Coleman Cole Collection, Western History Collections, University of Oklahoma, Norman. Dawes Roll Census Card, 22 September 1904, "James Jackson McAlester," Vertical File, Research Division, Oklahoma Historical Society, Oklahoma City. Linda C. English, "Inside the Store, Inside the Past: A Cultural Analysis of McAlester's General Store," The Chronicles of Oklahoma 81 (Spring 2003). J. J. McAlester Collection, Western History Collections, University of Oklahoma, Norman. Paul Nesbitt, "J. J. McAlester," The Chronicles of Oklahoma 11 (June 1933). LaRadius Allen, "McAlester, James Jackson," The Encyclopedia of Oklahoma History and Culture, https://www.okhistory.org/publications/enc/entry.php?entry=MC003.